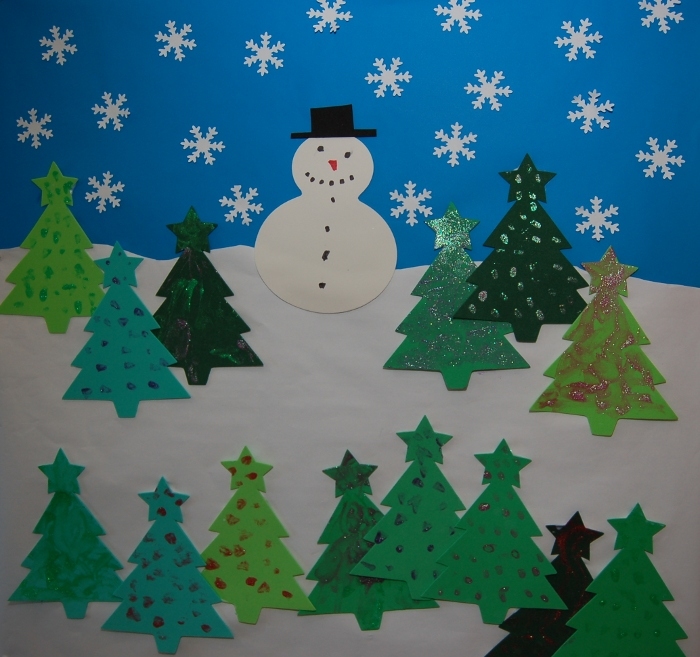 This years winter craft picture features a Snowman and Christmas Trees. This is a large wall picture about 1m square in our hall. I’ve already described how to create these in my other posts so look at Crafts with Kids: Large Christmas snow scene for details of how to create your own. This entry was posted on Sunday, December 20th, 2009 and is filed under Children, Crafts, General, kids, kidscrafts. You can follow any responses to this entry through the RSS 2.0 feed. Both comments and pings are currently closed.